Home » Cheap and Good? » RUN! Don’t walk to grab the Trilogy No. 15 Limited Edition Beauty Oil! RUN! Don’t walk to grab the Trilogy No. 15 Limited Edition Beauty Oil! Last week, I shared on Instagram a picture and some brief thoughts on the brand new Trilogy No. 15 Limited Edition Beauty Oil, and there was such an overwhelming reception with so many questions, I had to get a blog post out pronto! LOL! I’m glad TNS Skinlab took a chance on me, because I don’t think I’d have discovered this on my own. I haven’t had much luck with Trilogy skincare over the years, and their Rosehip oil actually used to break me out. So, it’s one of those brands I don’t pay a lot of attention to. If you ask me where it ranks in my list of facial oils, I’d tell you that it is firmly under the list of Facial Oils I love. I chose not to include it in the list when I wrote it, because it’s a brand new but limited edition product (the whole product is limited edition, not just the packaging). The packaging is typical of that for a facial oil, but the shiny golden label on the dark brown bottle ups it a notch to luxury level. It will not look remiss on any fancy dresser, or on any skincare junkie’s table. Aesthetically, it is stunning. What the Trilogy No. 15 Limited Edition Beauty Oil is, is a blend of 15 different seed oils – Baobab Seed Oil (I love baobab oil! ), Macadamia Seed Oil, Apricot Kernal Oil, Grape Seed Oil, Rosehip Seed Oil, Blackcurrant Seed Oil, Sweet Cherry Seed Oil, Goji Berry fruit extract, Karanja Seed Oil, Kukui Seed Oil, Mango Seed Oil, Mustard Seed Oil, Papaya Seed Oil, Passion Flower Seed Oil, and Pistachio Seed Oil. I’ve said this many times before, and I’ll say it again. I prefer using blended oils to straight single oils. The texture feels lighter, and my skin takes to blended oils better. And this is why I enjoy using the Trilogy No. 15 Limited Edition Beauty Oil – the texture is light, yet with the weight and texture of oil that I enjoy. There is a nice slip when applied to the skin, without the drying feel of a dry oil (I do not favour dry oil textures). The oils used serve a few primary functions – hydration, repair, anti-pollution and act as antioxidants. The latter 3 are hard to see if they work. But I will attest to the hydration. I’ve used this on its own as an oil mask, and I’ve used it in the day under makeup, as well as in the evenings combined with other skincare. It has passed all tests with flying colours! Used in the day (2 drops massaged into damp skin and then layered with a moisturiser), I find that it makes my skin feel and look more supple if I’m not wearing makeup. When I wear makeup, I have to wait a while, but my makeup does not slip, and if anything, my base makeup actually looks better! 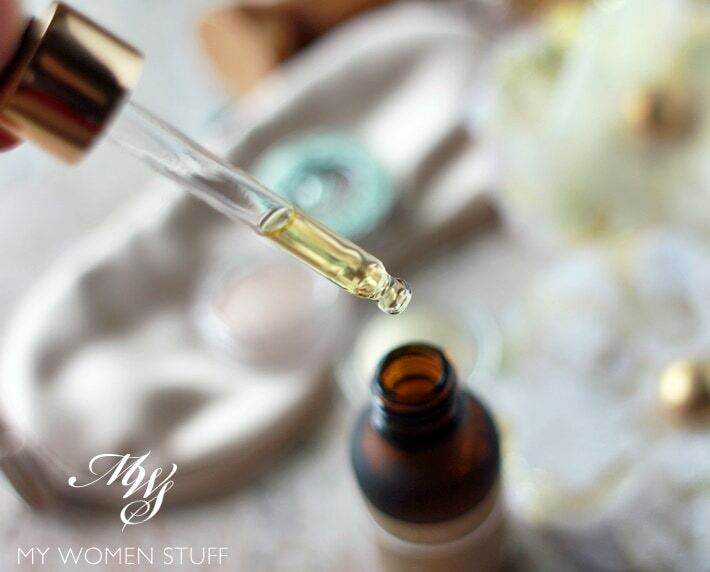 I rarely use facial oils in the day, as they have a tendency to oil up or make my makeup go a little nuts, but this one absorbs so well into the skin that it doesn’t. Used at night, I use it either under moisturiser (2-3 drops) or on its own as an overnight mask (5-6 drops). I find the texture fairly light, so I need up to 6 drops for my skin to feel truly nourished through the night. But the next morning, I find my skin plump, hydrated and looking healthy. I hesitate to use the word “glow” but it does look good, calm and rested. I haven’t been so enamoured by a facial oil in quite a while! I am very happy with this oil, and I would hope that Trilogy makes it permanent one day because I do want to keep it as a staple. Oils will go rancid which is why they’re hard to stock up and keep back-ups of. I do plan to pick up one more bottle to keep on standby, but I don’t think I can keep more than that, for fear of it going bad. If you’re new to facial oils, this one’s a good one to start with. The texture is so light and feels so comfortable on your skin, that you will wonder why you were so afraid to try oils for your skin! If you have oily or combination skin, just 2 drops massaged into damp skin will help your skin and maybe even rebalance your skin, while helping hydrate any dehydrated parts of your skin. If you have drier skin, up it to 2-3 drops in the day and a few more in the evening, to nourish your skin and keep it hydrated. You can even use this on your body if you’re feeling lush. I tried, because it said on the box you can, and it does make my arms and legs feel so nice! That said, I am big on using body oils, so I am comfortable with how it feels. I would love to use it that way, but I think I’d reserve it for my face. The Trilogy No. 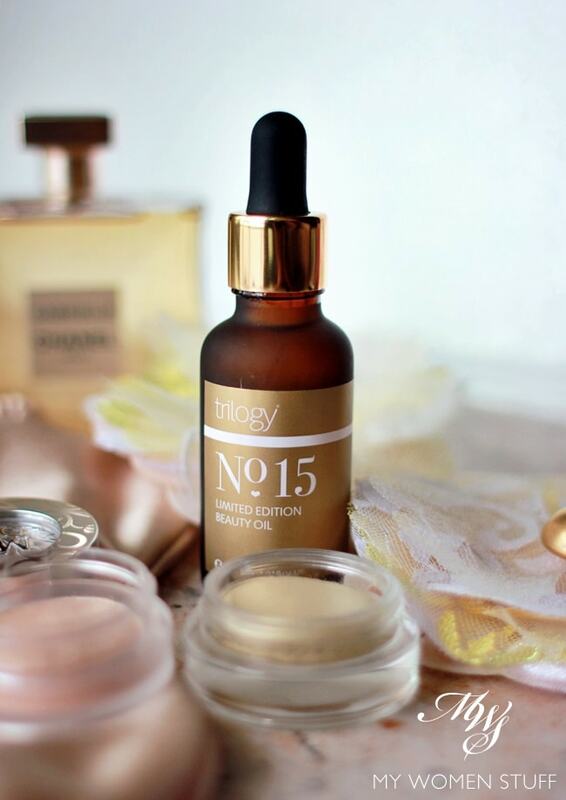 15 Limited Edition Beauty Oil is a new but limited edition product released to commemorate Trilogy’s 15 years in the skincare business. 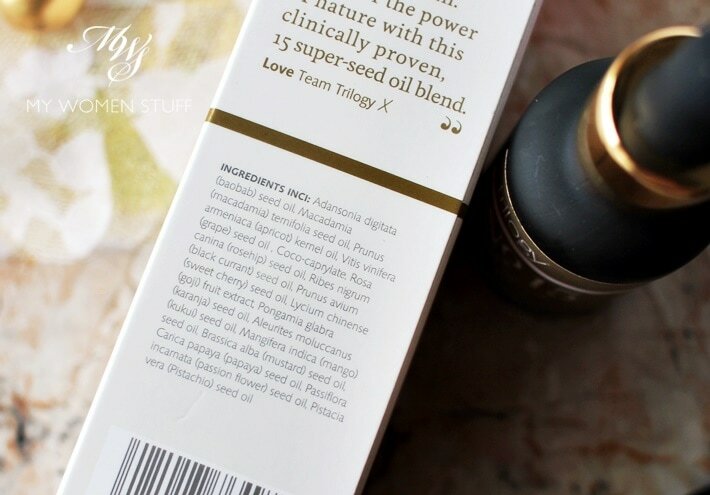 It is a blend of 15 different seed oils, and has a very lovely lightweight oil texture. I find it absorbs readily and easily when massaged into dampened skin and feels very comfortable. For me, it keeps my skin hydrated, and plumped and very comfortable. My skintone looks even, and my skin just feels and looks happy. I like using it as an overnight treatment, and also in the day. I do hope Trilogy makes this a permanent item because it deserves to be! How does this Trilogy No. 15 Beauty Oil compare to Pai Rosehip Bioregenerate Oil? This was asked of me, as most of you are aware that I love the Pai Rosehip Bioregenerate Oil and have given it Holy Grail status. Well, I’d say they’re different. Pai’s is a rosehip oil. It is blended, with different parts of the rosehip, but its primary oil is Rosehip seed and fruit oil. This Trilogy No. 15 Beauty Oil is a blended oil from different seed oils. The texture of Pai’s oil is heavier and the colour and scent may trouble some. This Trilogy No. 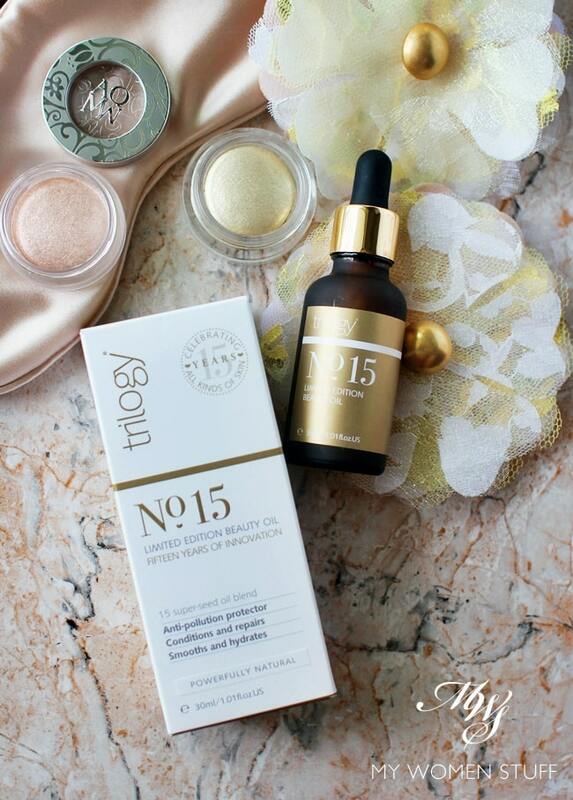 15 Beauty Oil is lighter with a barely discernible scent, and a clear golden colour that is easily acceptable. Does this Trilogy No. 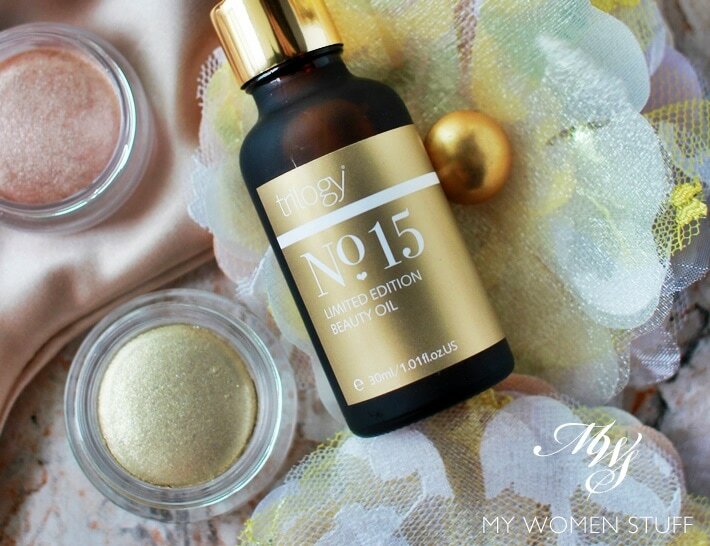 15 Limited Edition Beauty Oil interest you? How do you keep the oils from oxidizing? Well, by not opening them LOL But you can slow down the oxidization by keeping them in cool, dark rooms away from the sun and light, and also by ensuring that you recap your bottle tightly after use. But natural oils will turn rancid, even if you never open the bottle, hence it’s hard to actually hold on to back ups of oils. Yeah, I’m doing this already but still turn rancid way too fast ? As Margaret has suggested, the fridge might be the way to go. Just be sure to keep it away from fresh foods, preferably in its own section of the fridge (or some people have a skincare only fridge). Good luck! I put oils in the fridge. Truth is they might get solidify if they are full of saturated fats, I just warm them with my palm. The oil will remain liquid if they are composed of good mono and polyunsaturated fats but these oils go rancid the fastest if stored under warm condition. I was just about to ask about putting them in the fridge. Thanks for sharing. I’ll try that. This looks so good. Love your images too. I’m probably one of those readers who looked it up on TNS after you blogged about it last week to find it completely sold out and ended up hauling other facial oils on promotion instead. But they just restocked it and I took the plunge! Now I hope I can finish them all because I don’t want them to go bad! In fact, my current facial oil expires Aug 2017 but I’m still using it since it works and I assume the fishy smell is how it was supposed to smell? There was only one time when I threw out an organic oil hair serum but that was only because I actually saw mushrooms growing inside the bottle to my absolute horror. Haha oh dear, I honestly was not expecting that sort of response to just an instagram post! LOL 😀 But glad you manage to snag one, and their current facial oil promotion is so good isn’t it?! I’m tempted to dive right in. Except that I’m also aware that they might go bad before I’ve had a chance to use them! Ah the dilemma 😛 You know I had my Pai Rosehip oil for quite a long time. Definitely way past their use by date, but it still smelled fine, and worked fine, so I kept on using it. I only stop using my oils when they smell off, mostly because I can’t stand the smell of rancid oil on my skin! 😛 But mushrooms!! MY GOD! On the bright side, you know it’s truly natural LOL! I got myself a bottle of the Pai BioRegenerate Rosehip oil cos you had so much to say about it! Lol. I’m sharing the bottle with my mum and I noticed that it has help to keep break outs at bay somewhat. I didn’t know oils can go rancid even without opening them! Good to know as I was thinking of stocking up! Ooooo it sounds SO good! I have purchased it on a whim just now, thanks to your glowing review (and I love that it is a blend that is light in texture). Funnily enough, the original Trilogy Rosehip oil also broke me out. Thanks for the review Sue. We would like to inform that the product is temporarily sold out but will be re-stocked by the end of next week. So sorry for the inconvenience. ? Kindly e-mail me when it is restocked 🙂 Will the promo price still apply then? Will do so, yes the promo will run till end of this month. I need to get this ?. I was only there last Sunday. Hopefully I will have a chance to buy this. Thanks for the great review. As usual when you like a product & I can really feel your excitement in your writing. Lol.